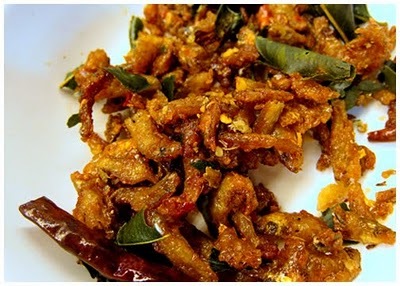 Tired of bringing home the same tubes of spicy sampaloc from Bangkok for pasalubong? 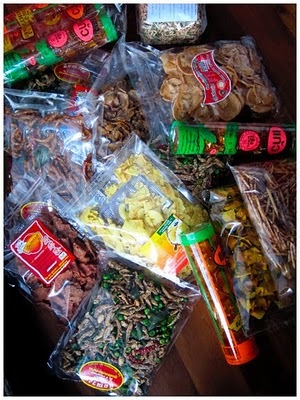 I suggest you try shopping at Chainarong, Bangkok’s top purveyor of Thai style snack foods. It’s one of my must-go shopping places when I’m in town and I must admit I tend to go a bit overboard on the snack food shopping. Biggest reason being the probably hundreds of varieties of edibles available. And if you’re interested in something that seems too funky or foreign they always accommodate free sampling. 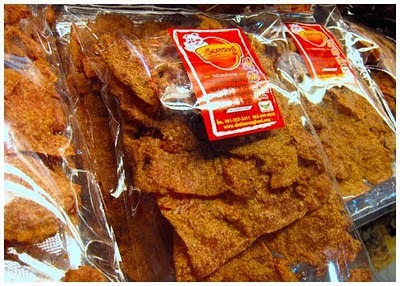 What they’re most popular for is their pork products as shredded pork, pork floss, bakkwa and Chinese style sausages. But my favorite would probably be the moo ping or crispy pork. They crisp up the super thin sheets of marinated pork right in the premises with these motorized convection ovens to assure they’re always fresh. What do they taste like? Sweet, spicy and salty with a porky essence that’s so unbelievably crunchy. Like lechon skin. Really. However way better for you in terms of the health department. 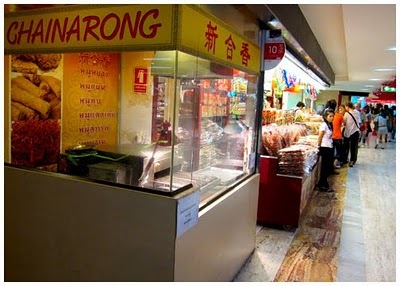 They also carry sweet and savory chips of various fruits and vegetables; durian, taro, pumpkin, bananas, jackfruit, coconut, pineapple…the list goes on. And something that I never get tired of eating: tom yum anchovies. 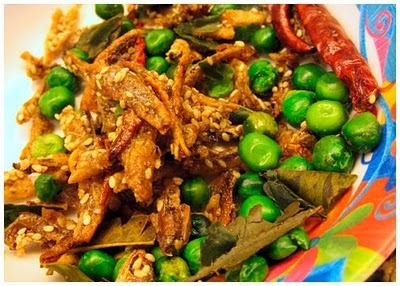 Crispy fried anchovies with nuts, peas and sesame seeds mixed in with tom yum herbs. I suppose it’s their version of mixed nuts like our, er… Ding Dong? Very aromatic with all that kaffir lime and so addictive that I just have to bring several bags home every time. The loot: all the food had to be put in a separate suitcase. They’ve outlets in over 20 department stores all over the city but I usually go to the MBK branch; so while the wife goes crazy shopping for sundries, I go crazy over the eatables.